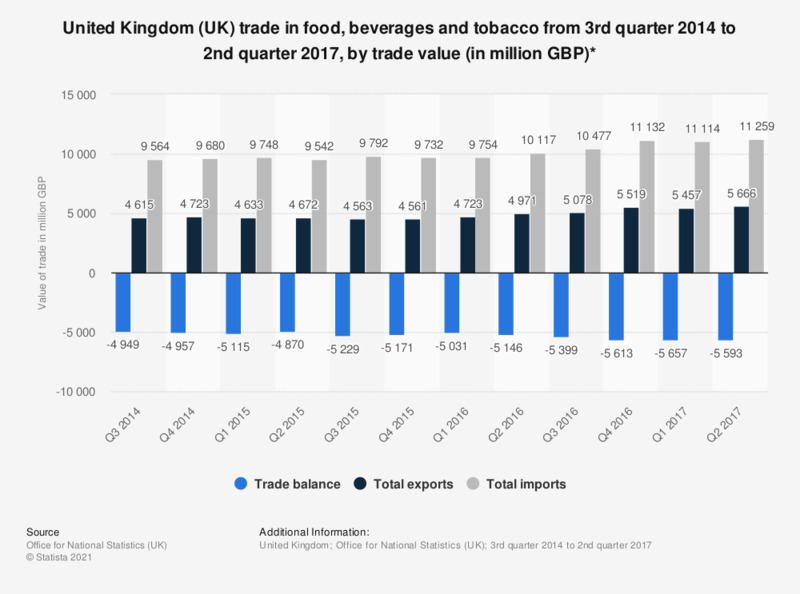 This statistic shows the trade in food, beverages and tobacco of the United Kingdom (UK) from the third quarter of 2014 to the second quarter of 2017, by trade value. The trade balance in goods was consistently in deficit. The largest deficit occurred in the first quarter of 2017 when the difference between imported goods and exports reached approximately 5.7 billion British pounds (GBP).